Now, we of course need to start by addressing the gorgeous print of this box - look at those botanicals. I'm definitely going to be using this on my desk to store all the little bits of toot I can't seem to live without. As for the products, the theme for this box was all about getting ready for summer. 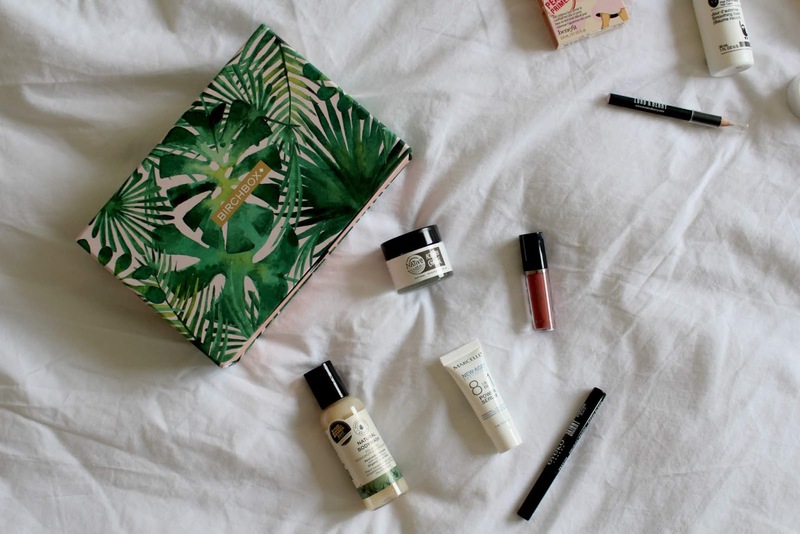 Inside were a Doucce Lip Stain, a Greenfrog Botanic Bodywash, a Native Unearthed Deodorant Balm, a Marcelle 8in1 Power Serum and an Eyeko Skinny Liquid Liner. Whatta mix of products. I'd never heard of any of the brands, besides Eyeko, as I have previously owned their Skinny Liner and loved it. The Doucce Lipstain is a dream to apply and is so so light on the lips. I'm not so sure about this particular colour on me, it's a bit too much of a bright in your face pink for me. I haven't worn it for a prolonged amount of time, but when I have I'll definitely update you on its longevity. It retails at £21, and is quite drying, so I don't think this will be a product I'd repurchase in the future. Serums are a product I don't think I've ever used. I mean, coming from the girl that has only recently started using a toner I'm sure that will come as no surprise. I don't have anything to comment on the one in this box as I'm yet to give it a go. I have swatched it on my hand, however, and it's very very light, so that's a promising start. The Bodywash is a really fresh scent; 'relaxing geranium and peppermint' and I'm definitely going to save it for future travels as it's a really handy size. Now, onto the curveball (in my opinion) of the box - the deodorant balm. Sidenote: mine actually came with a chunk missing??? Anyway, this is a product I'm not sure I'd ever think about picking up or using. I love the concept - an all natural, portable product, but the thought of rubbing this all over my sweaty summer pit is not something quite up my street. But, in the name of fairness, I will give this a go and I'll be sure to let you know my thoughts. The idea behind this box is a tea party, hence the gorgeous biscuit tin, which I'm also definitely going to be reusing. 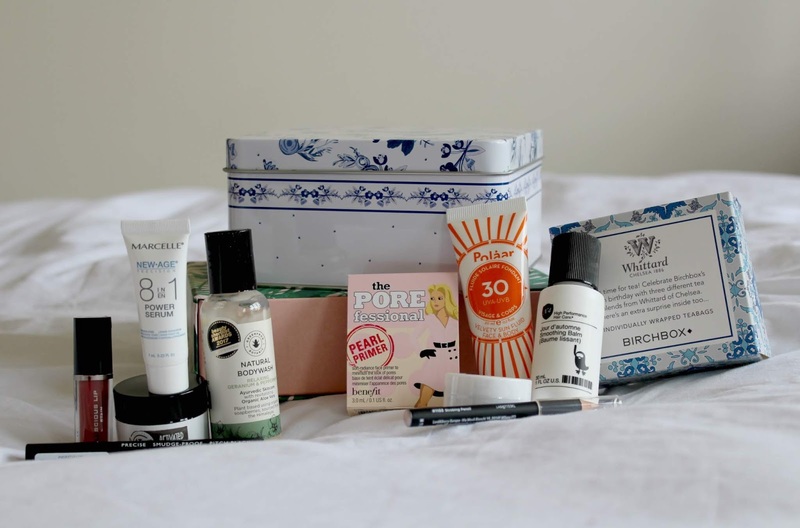 From the offset, I was much more impressed with the products in this box and can see myself genuinely using all of them. Maybe that's the thing with these subscription boxes - you win some, you lose some. This box also included a bonus gift: three Whittards teabags. As for the beauty products, included were a Number 4 Hair Balm, an Ella Eden Eyeshadow in Julia, a Polaar 30 UVA Suncream, a Lord and Berry Strobing Pencil and The Porefessional Pearl Primer. I've swatched both the eyeshadow and the strobing pencil and I'm actually impressed by both of them. They're both really pigmented and shimmery and I can definitely see myself reaching for them whilst doing my makeup. My hair is often a bit of a frizzy, curly mess so the smoothing hair balm could be a bit of a life changer if it lives up to all of its claims. 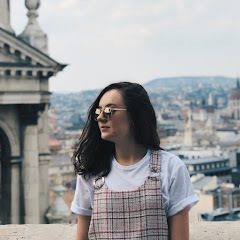 It apparently minimises frizz, restores softness and protects against humidity - three things my hair can always do with in summer. If you weren't already aware, I'm doing a lot of travelling and backpacking in the next few months and am going to need all the suncream I can get my hands on. This looks like a really really nice one, so I'm excited to see how it compares to some of the cheaper ones I have been using. Benefit's Porefessional has become a bit of a cult product, hasn't it? I'm not sure if I've ever used the original (and if I have, it couldn't have been life-changing if I can't remember it) but this one contains pink pigment for brightness. This will be great for those no makeup sunny days, when you want something on your skin, but not 3 inches of foundation, concealer, powder and half a metric tonne of highlighter. Again, when I've given it a thorough test I will report back. 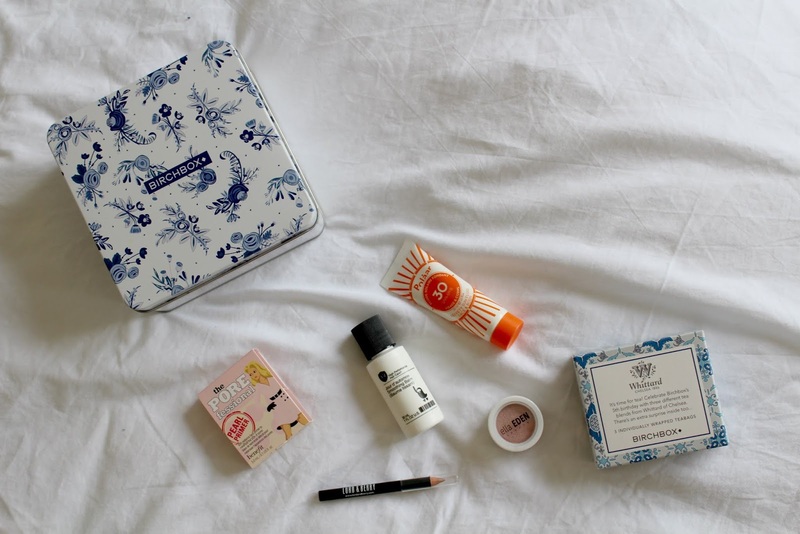 And there we have it, my views and first impressions of the most recent Birchboxes. I would say I've been pleasantly surprised, and whilst I adore the actual box from May, the products in June's box were far better for me. 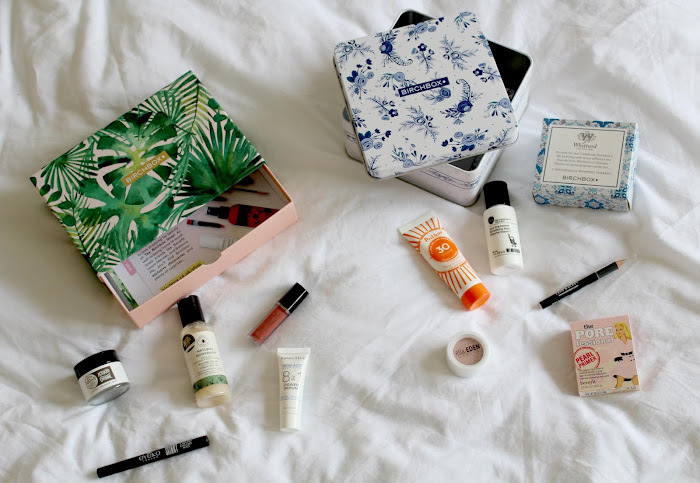 I've never subscribed to Birchbox but I've always heard great things and this box looks so good! It's such a cool concept - some of the products are incred! I haven't subscribed to Birchbox but I've been thinking about it for a while, so this review is super helpful. I can't quite get over how much I love the print on the May box! I'm also thinking about investing in Porefessional, so please do let us know what it's like! Sending you good vibes - have a wonderful weekend! Ah I'm glad it was helpful! It's such a pretty box isn't it?! A Caseapp Review - Worth the Hype ? ?